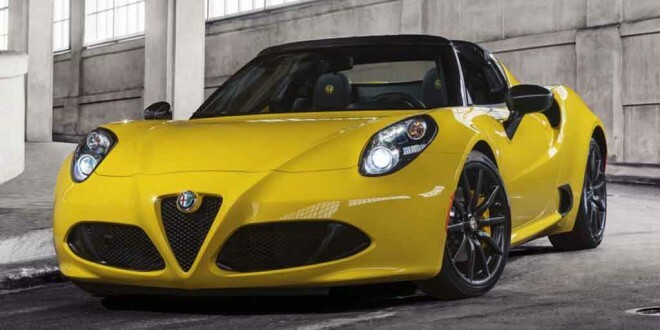 The production version of the Alfa Romeo 4C Spider has been unveiled in Detroit at the North American Auto Show. 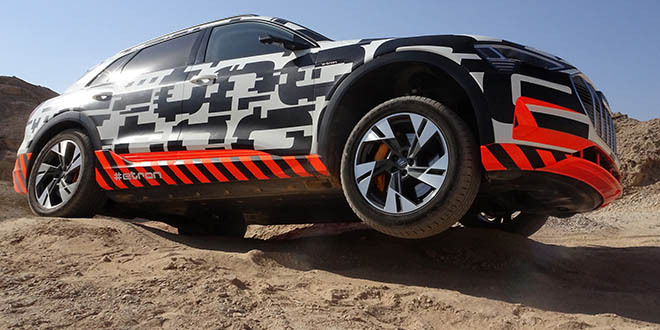 Still featuring a carbon fibre body, three times stronger and seven times lighter than steel, the windscreen frame is also made from the same material. Very little structural work needed to be done to strengthen the chassis to compensate for the loss of the roof. In the US version, the difference in weight between open and closed versions is just 10 kg. New for the open top version is an optional titanium exhaust system with switchable modes to give more or less noise as required, depending on your mood. Standard and racing exhaust systems are also on offer. US versions also get the option of a premium audio system from Alpine, but quite frankly, it’s superfluous in the 4C. Forget the radio and just listen to the engine. A new exterior colour (yellow) is available which should complement the shape beautifully and new design alloy wheels ranging in size from 17″ to 19″ will be offered in silver or dark finishes. The Spider is also manufactured at the Maserati factory in Modena and will go on sale here in the summer with prices and final specifications to be announced later this year.